I’m not sure when I first fell in love with space exploration. I can remember telling my mom that I wanted to grow up and be an astronaut when I was six years old. I was sitting in the back seat of our car. It would have been around 1979. I might have been inspired by Skylab, or maybe I heard my grandfather talked about Neil Armstrong. You see my mom grew up in St. Marys, Ohio which is next door to Wapakoneta and that is the town that Neil Armstrong was from. My grandfather knew Neil as a young boy. In any case, I was fascinated by outer space, spaceships, and exploration ever since I was a little kid. It seemed like towards the end of the 20th century that space exploration was over. After losing two space shuttles, the end of the Cold War and fighting the war on terror there just seem to be no reason to look up to our future. Luckily there is a renewed interest in space exploration. And it’s not driven by military endeavors but rather the curiosity of super wealthy innovators. They are funding the next wave of spaceships, rockets and even astronauts needed for space exploration. In the rest of this article, I will talk about the benefits, the dangers, funding and the future of space exploration. 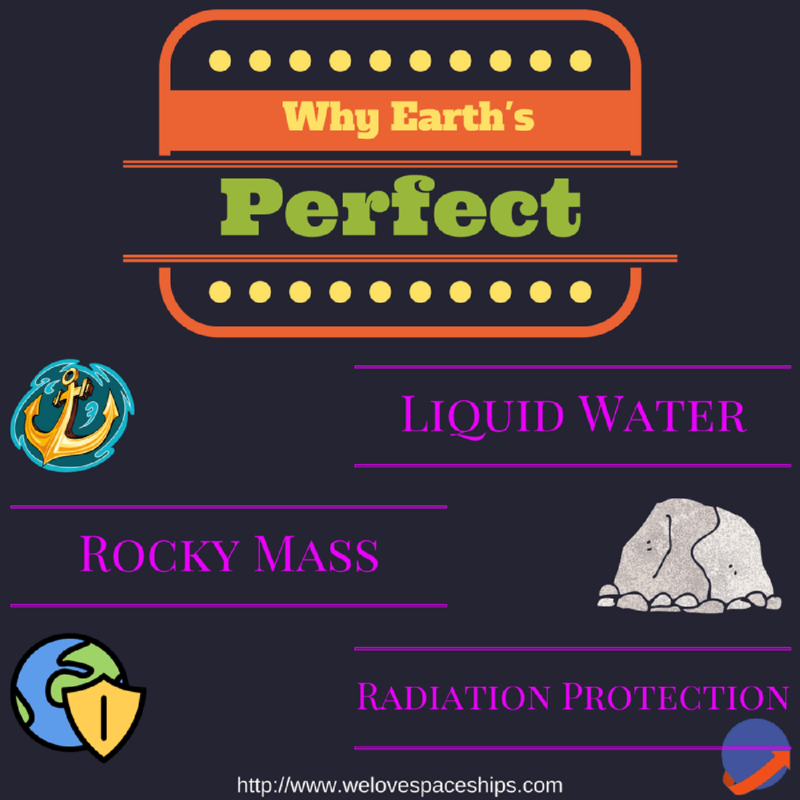 WHAT CAN SPACE EXPLORATION DO FOR ME? There are many benefits to space exploration. NASA created a PDF covering many of the benefits of 50 years of NASA. Whenever you talk to people who are not a thousand percent behind space exploration they often ask “Why should we do it?”. This is a fair question. Specifically when it is taxpayer-funded. I will talk about funding in a later section. I think we have a hard time justifying space exploration when we don’t have colonies on the Moon yet. Or direct, tangible economic benefits. Or can talk about a particular disease that was cured. After all, what did Neil Armstrong come back with? We lost 14 astronauts in two separate Space Shuttle accidents. And it’s hard to say what they died for. But there is a reason to do this. Even though it is dangerous. In 1900 the city of Galveston Texas was the largest city west of the Mississippi River. And it was home to the world’s best meteorologist. One day they were hit by a massive hurricane. It killed many people and frankly the island in my opinion never recovered. It’s still a popular tourist destination. But New Orleans replaced it as the party city. And Houston replaced it as the economic engine of the Gulf coast. One of the reasons why the Galveston hurricane was so bad was because they had no warning. The only advice possible at the time was from Cuba. If Cuba saw a hurricane, then they could send a telegraph to the United States and let them know that a hurricane was coming. But because of the Spanish-American War those hurricane spotters, we not in their positions and thus Galveston was never warned. Now we know about hurricanes almost the day they are conceived by Mother Nature. People have at least days and sometimes weeks to get prepared for a hurricane. This is made possible by weather satellites. And we wouldn’t have weather satellites without space exploration. There are numerous technologies that have come out and spun off from the research done into space exploration. And they will continue to occur. This is one of the many reasons why we should continue as humans to explore outer space. But space exploration is dangerous. Even if you are a robot. WHY IS SPACE EXPLORATION DANGEROUS? It’s dangerous because Earth is the perfect spot for life to flourish. This is why most of the technology and expense of sending humans to the Moon in the 1960s was spent keeping the astronauts alive. It’s a lot easier though still very difficult to send probes without any humans to a to do our exploration. But just because it’s dangerous doesn’t mean we shouldn’t still try to send humans. I think the people who believe that we shouldn’t send humans to outer space simply don’t understand that risk-taking is part of life. And that you never get anywhere without risk. They don’t understand that private people are willing to take risks on their own. They don’t have to do it for the government or the military. For example, James Cameron, the famous movie director, built a submarine to go to the deepest spot on Earth to make a documentary. He could have easily died. Operating at the deepest part of the ocean is almost as challenging as dealing with outer space. Perhaps more unusual is what people are willing to do just for the hell of it. For example, there are people who like to do deep sea diving just for fun. These are the people who like to dive into shipwrecks end explore life at depths deeper than a hundred feet. Every year people die doing it. But rarely do they make national news. Or to put it in another way there have been 12 people to walk on the moon. There have also only been 12 people to walk the entire length of the Grand Canyon. Hiking the Grand Canyon is not something anyone is doing for science or because they’re getting paid but often just because they are outdoor enthusiasts and they want to take the Grand Challenge. Walking the Grand Canyon is one of the single most dangerous things you can take on as a human being. And it’s not just because it’s so long, but the environment is so inhospitable. And almost impossible for anyone to rescue you if you get in trouble. Even if you have been preparing for it for your whole life. As two National Geographic reporters found out when they attempted to document walking the Grand Canyon. I think Americans now thinks space exploration is too dangerous after the Challenger and Columbia accidents. But it is my opinion that it is evident now that the Space Shuttle was a very flawed design. We will not build any spaceships that will be as dangerous as those shuttles. Space exploration is getting safer. For example, I remember watching a speech by Burt Rutan where he talked about designing the ship that won the Space X prize. This is the ship design that Richard Branson funded to build Virgin Galaxy with. And it’s my recollection that Rutan said that the controls were the same as a Cessna. Meaning they were still pulleys and gears. As opposed to fly by wire electronics. They were more reliable. The spaceship was designed so that if it started spinning out of control, it would right itself up. And that he had created a ship that could re-enter the atmosphere without needing heat shields. He was very passionate about making sure that there was a lot of room for human error in returning to Earth. Because as a young aircraft designer he watched a pilot burn up in an X-15. The plane had a very narrow range you needed to meet to return to Earth safely. And the pilot made a mistake. Or another example is Jeff Bezos. Bezos is the CEO of Amazon. And he is building his own space company called Blue Origin that he wants to use as a tourism business. And he wants to be the first passenger into outer space. I think it was in an interview with Charlie Rose where he said I don’t want to die in my spaceship. So clearly safety is going to be a high priority for him. There are two more examples I want to talk about. The Russians are still using spacecraft they designed in the nineteen-sixties to send astronauts back & forth to the International Space Station. They have not had a casualty in almost 50 years. The USAF X-37B space plane continues to set records even if nobody knows what it’s doing up in outer space. WHO SHOULD PAY FOR SPACE EXPLORATION? I think this what most people have a problem with. And this has been at the core since the beginning. It’s why NASA HQ is in Houston. But doesn’t have to be that way. People dive for fun on vacation. James Cameron went to see the Titanic at the bottom of the ocean. If there’s one thing I want to change in my lifetime in regards to space exploration is that I want it to be so that any private company or person can launch their space mission. Without needing NASA or the military. I know it will be expensive to start with. And we have 70 years of inertia to fight against here. But I don’t see any reason why that if I wanted to start up a Kickstarter and fun my space mission that I shouldn’t be able to do it. I don’t see why if I wanted to even put my people on that space mission that I couldn’t do it. I know some individuals think that if you make it only for private people that all sorts of bad things will happen. But governments do bad things too. And it’s possible to have this regulated. The most important part is that we need more competition. Which is starting to happen - SpaceX, Blue Origin, Virgin Orbit (and Galaxy). Even legacy providers such as United Launch Alliance. Others that I’m sure I’ve forgotten. The more competition - the cheaper and better products and services you get. The areas in life we complain the most about - such as health care, is where we have the least amount of competition. PEOPLE ARE STARVING ON EARTH - WHY EXPLORE? Another common objection I hear to space exploration is that they think we shouldn’t do it because people are starving somewhere on Earth. My answer is that this is not an either-or question. You can (and humanity is) working on solving starvation. And clean water. Often using technologies from space exploration. For example, learning how to recycle water for space missions makes it easier for poor villages to have access to clean water. And the most horrific problems - starvation, dirty water, dirty air - are almost always the results of bad economies. And the worst of the worst are in war zones. Those we can solve without affecting the ability to explore outer space. But overall it’s more important to understand human life on planet Earth is continually improving. Despite what you might see on CNN. Globally poverty is on the decline. War is unheard of for most of the planet Earth for the first time in human history. I know this is hard to believe because the mass media feels your eyeballs and your ear holes with non-stop crap about death and destruction and the 1%. My advice - quit watching that stuff. What I think is behind this question though is the funding issue. How can tax dollars go to fund outer space exploration while we still haven’t fixed our healthcare crisis? That’s a political question, and it’s another reason why I just wanted to make it so that it is easier for private citizens to do their space exploration. If you don’t have tax dollars involved, then you don’t have as much to debate. After all, no one complains about you’re not solving cancer while you take a snorkeling trip as part of your summer vacation. The same things to be true about space exploration. HOW WILL HUMANS EXPLORE SPACE IN THE FUTURE? I believe we are at the start of a golden age of space exploration. As I’ve already talked about in this article the number of private enterprises attempting space exploration. I have no doubt that Musk and Bezos and Branson are thinking they want to avoid needing government contracts just to get into outer space. Branson spent at least a decade trying to set the record for flying a balloon around the world. That’s not the kind of man who’s going to sit around and say I got to wait and see if I can get a NASA contract so I can send a piggly-wink communication satellite into outer space. Communications satellites are important, but they’re not going to excite Branson or Musk for that matter. These guys want to launch their rocket whenever they damn well, please. After all Elon Musk launched a wheel of cheese into space once. And that will be the key to how humans will explore outer space in the future. It won’t be a space race between two governments who spend most of their time trying to figure out how to blow the crap out of each other. It’s going to be crazy rich people trying to go exploring. Which is actually how much of exploration and human life has always occurred. I’m going to start wrapping this up. I believe the future of space exploration will involve people going to other planets and living there. I mean “planets” as a slang term. Humans will land and colonize other celestial bodies besides Earth. I doubt this will happen in my lifetime. As much as I joke and say I want to retire on Mars. But it will eventually happen. It will take longer than I want but quicker than you can imagine. 100 years ago, global society thought we would never solve the problem of dealing with all of the horse manure lying in city streets. Even when cars started to be bought in quantity - people thought it was a fad. After all, cars couldn’t navigate the rough horse trails very well. Then humans paved the planet for the cars. Agriculturally we have terraformed Earth to meet our needs. Some of the most impressive cities on the planet are built in locations in the middle of deserts. I know building on Earth, even in the wilderness is still a million times simpler than doing something in outer space. But I never discount human ingenuity. And patience. And persistence. I was on Quora, and I saw a question asking about moon colonization. This was answered by someone who works for NASA on this particular problem. I will quote him here. Humans will figure it out. Sometime in the future, somebody in my family tree, will get the chance to retire on Mars. If you like to encourage the study of outer space then you will like my website.